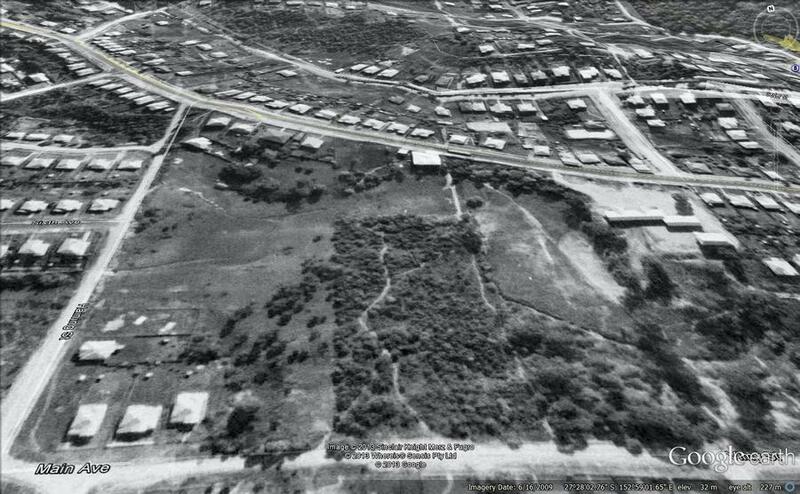 1946 Aerial Imagery | There once was a creek . . . 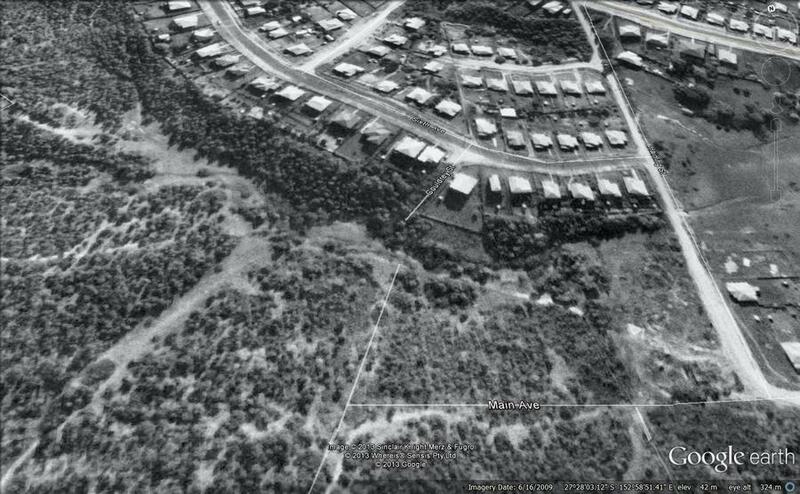 The images below use aerial photographs from 1946 to illustrate how the landscape of Western Creek has changed over the last six and a half decades. 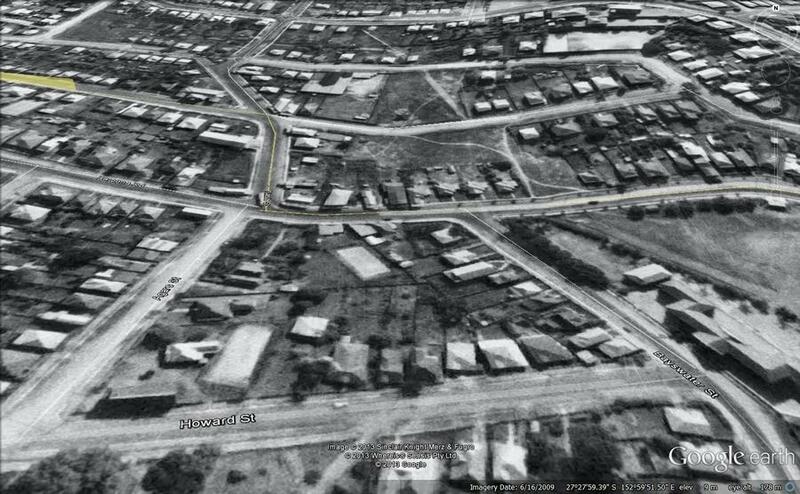 The 1946 aerial photos are, as far as I know, the earliest that exist of Brisbane. They are used extensively in planning, development and other applications that call for a historical record of the built and natural environment. You can explore them for yourself via the City Council’s PDOnline Interactive Mapping page (follow the links from “PD Online – property development and application search tool”). I could stare at these images going back and forth for hours. In just an instant they reveal so much. I’ve provided some commentary, but really I think they speak for themselves. 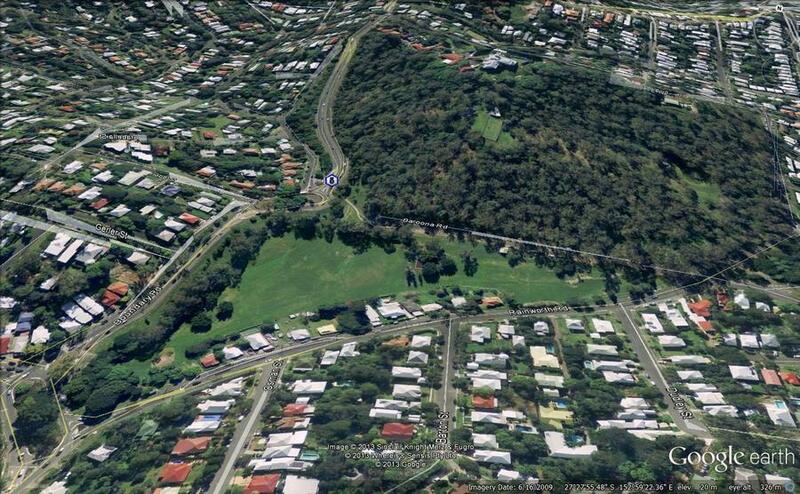 The mouth of Western Creek, with Milton Park and Frew Park visible in the distance. The creek has been drained but the footprint of the original stream is still visible in the foreground. Also, the drain is much narrower than the Milton Drain that we know today. 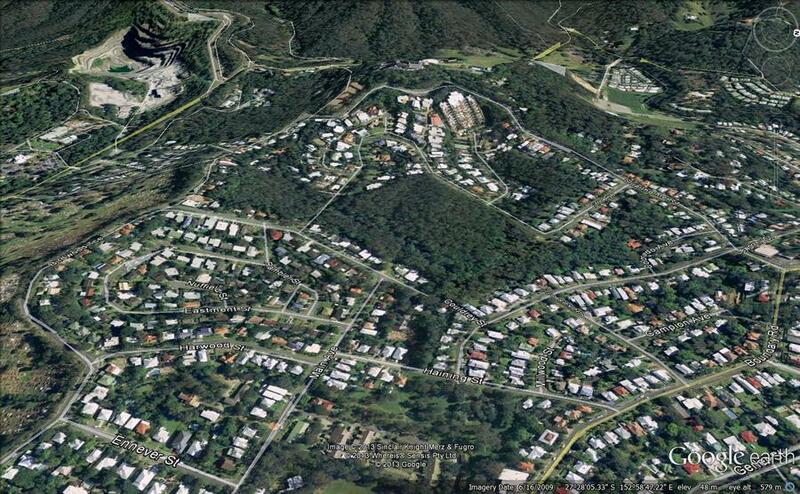 Milton Park (foreground), Frew Park and Gregory Park. 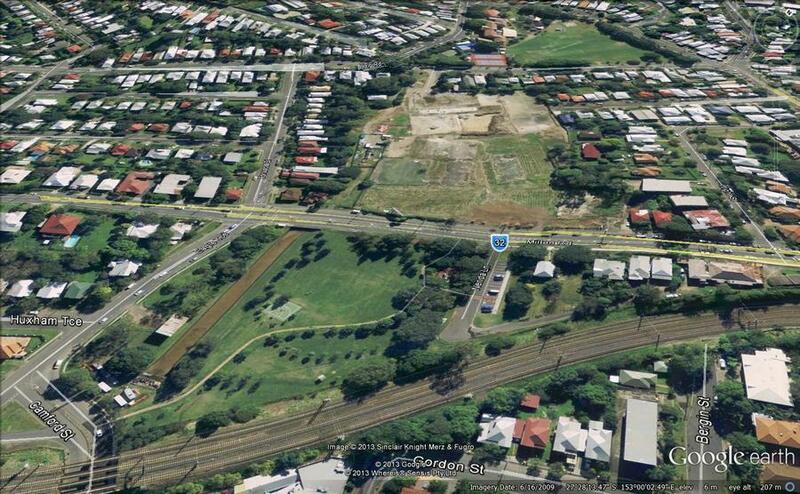 Notice the changed alignment and size of the drain through Milton Park, and the open drain through Frew Park. Gregory Park, with Rosalie Village in the background. Haven’t those fig trees grown! Rosalie, looking from above Howard Street. 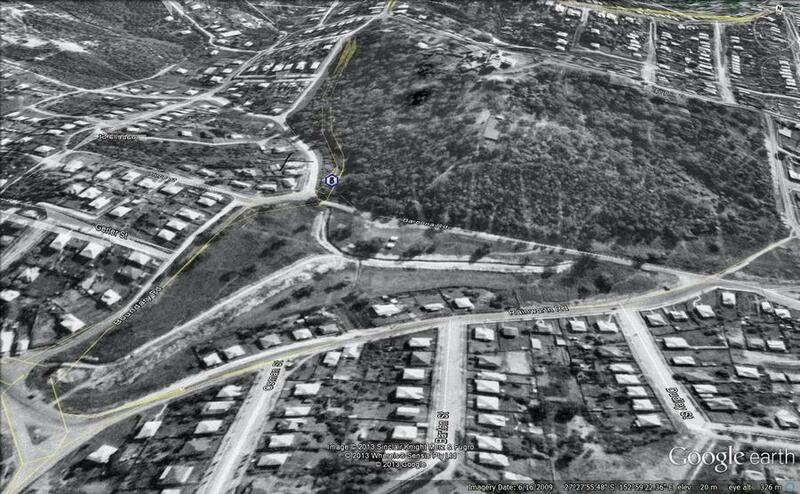 Western Creek had been drained and buried, but much of the land around its path remained undeveloped. 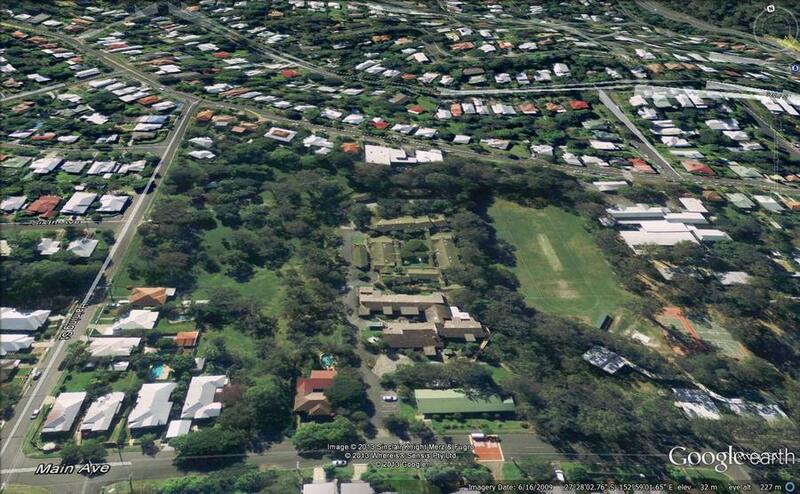 Norman Buchan Park and the Governor’s residence (Fernberg). 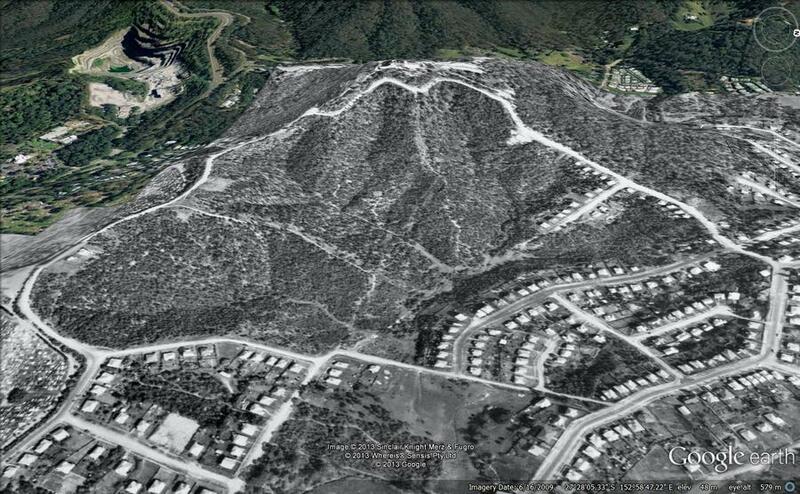 The most striking feature is the open drain running through the park, but notice also the roads. 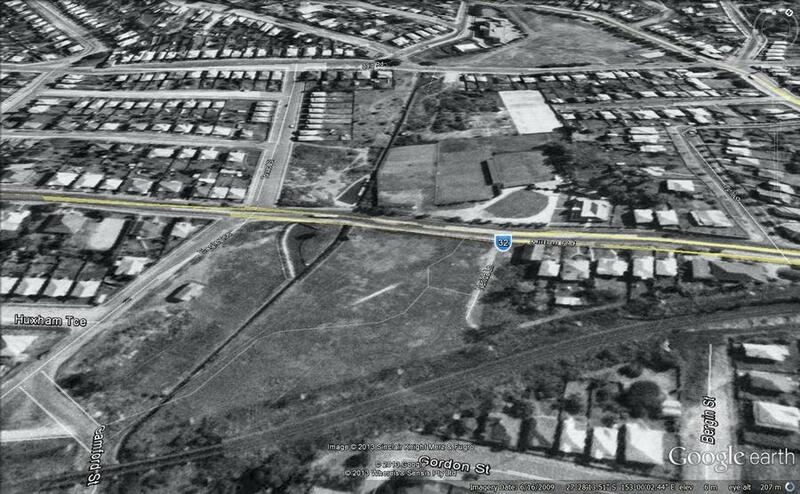 In 1946 Baroona Road connected to Boundary Road, and the way to Macgregor Terrace was via Warburton and Kaye streets. Rainworth School (right), St Pauls Villa (middle) and Rainworth Park (right). An open channel runs past the school’s playing field, but elsewhere the creek has been covered up. The area between Main Avenue and Sixth Avenue. The vegetation around the open streambed was evidently cleared prior to 1946. It has grown back, but largely as weeds. The area beneath Stuartholme Road and Birdwood Terrace. I think this one speaks for itself. 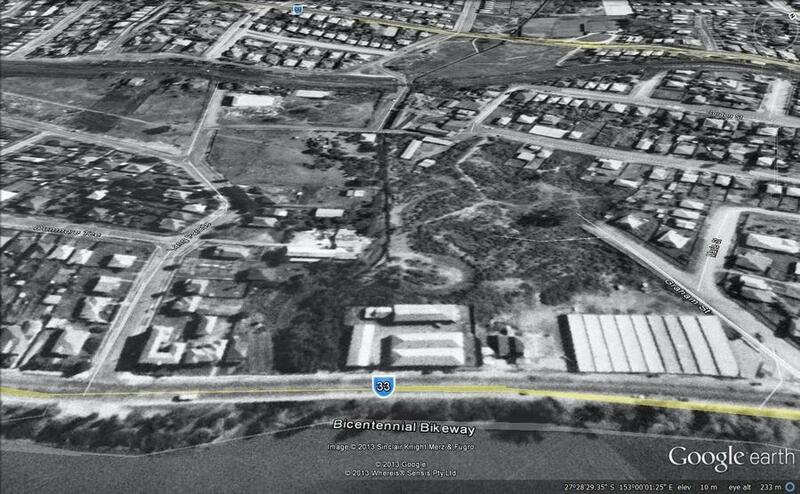 The area between Boundary Road and Macgregor Terrace. This is why I am grateful that the Governor lives here. Great images and comparisons. Thanks! Thanks Greg. 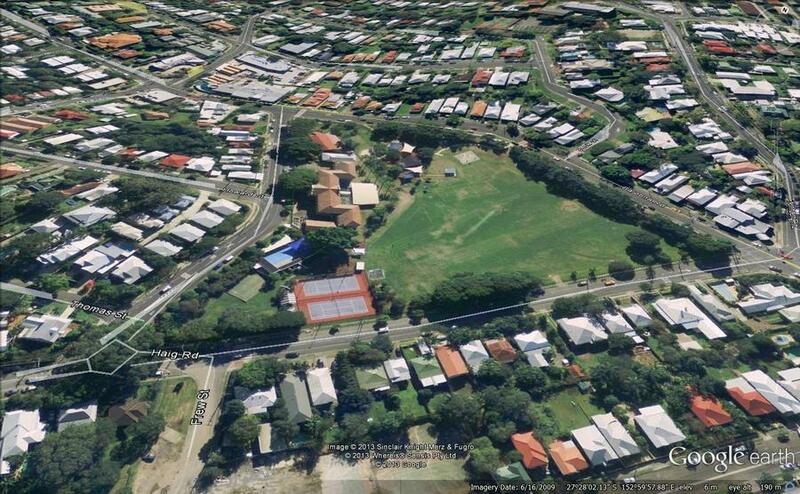 I keep hearing things about the drain pipes between Rainworth School and Norm B Park. They must have been quite an attraction! Great website! Thanks for your time in compiling it. Really interesting for all is Rosalie locals. Thanks! Hi, a little nostalgia. I attended Milton State School, and on Armistice day each year, which was revered, individual classes’ would plant a tree, some in the school grounds or the park, in remembrance of our world war one soldiers. 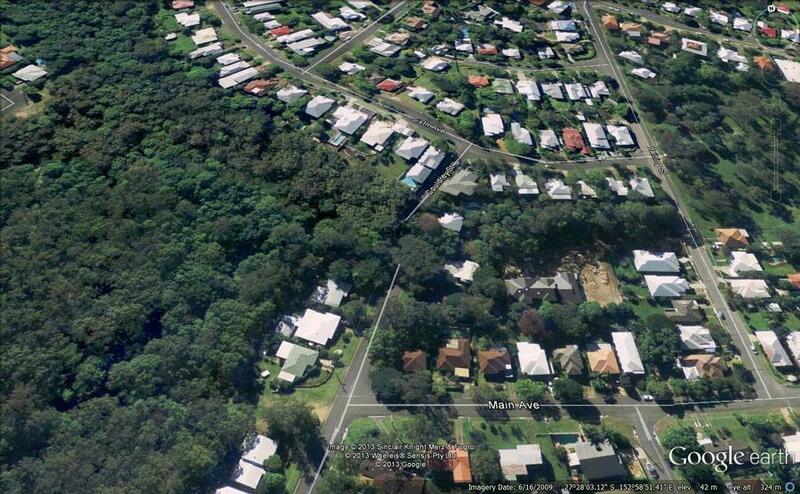 In 1961, 6th grade, my class was responsible for planting the present Silky Oak tree near the corner of Haig Rd and Baroona Rd. Our elderly teacher gave me the privilege of putting the sapling into the hole on behalf of my class mates. I can recall her stating the figs you mentioned along Baroona Rd were planted in honour of our WW1 Solders. Thanks also as above the work you did is priceless.. Thanks for sharing that, Margaret. I’ve not gotten around to researching that area at all (one day, perhaps! ), so that information is really fascinating and valuable. OMG! Fantastic stuff! Brings back more than memories … the creek, the bush and all my RSS school mates (many of us still meet for a lunch each year, almost 60 years down the track). 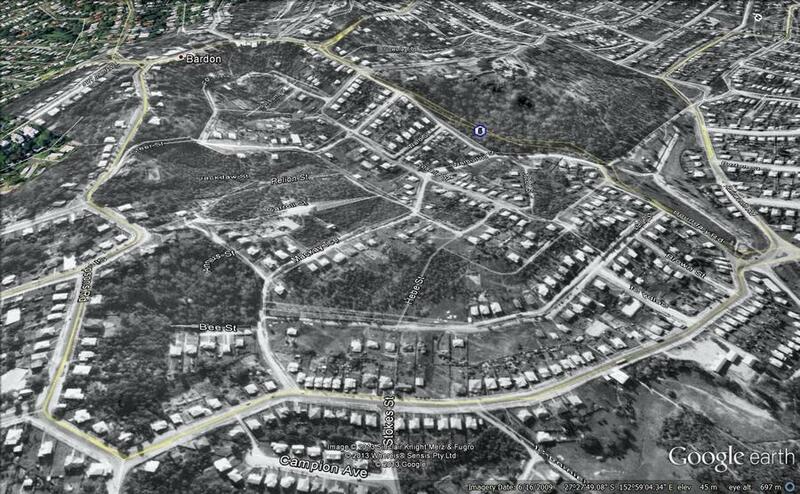 First time ever I’ve seen the old family home in Harwood Street in a 1946 aerial photo. Would like to get some of these photos in high res … can this be done? Hi Greg. Thanks for the message. It’s worth checking out the 1946 imagery on the council’s PDOnline site (the link on this page was broken, but I’ve just fixed it). The interface is now a little confusing, but you can zoom in to a pretty high level of detail. 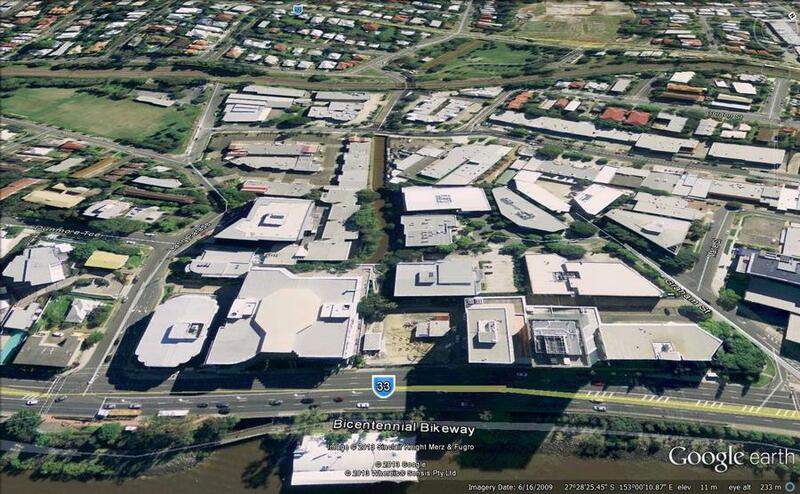 If you’re interested in seeing the originals, I believe they are housed at the Brisbane City Archives in Moorooka. Afternoon, great site you have set up here. ALSO KNOWN AS LAKE EMERSON DURING WWII. Any idea where I might find a layover map like yours ?? Love the pics. A great idea! If you can find the images Hamish, I’d be happy to try and give you a hand with the Morningside one. Loved the pics. 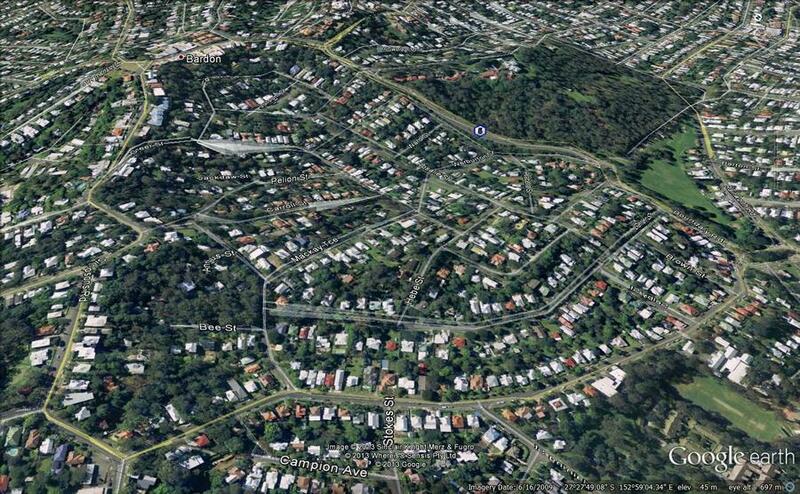 Grew up on Birdwood tce and spent many happy days playing in the bush and down in the creek with mates. We made a small dam across the creek and had a small pond to swim in and sail toy boats and catch yabbies. Great childhood. 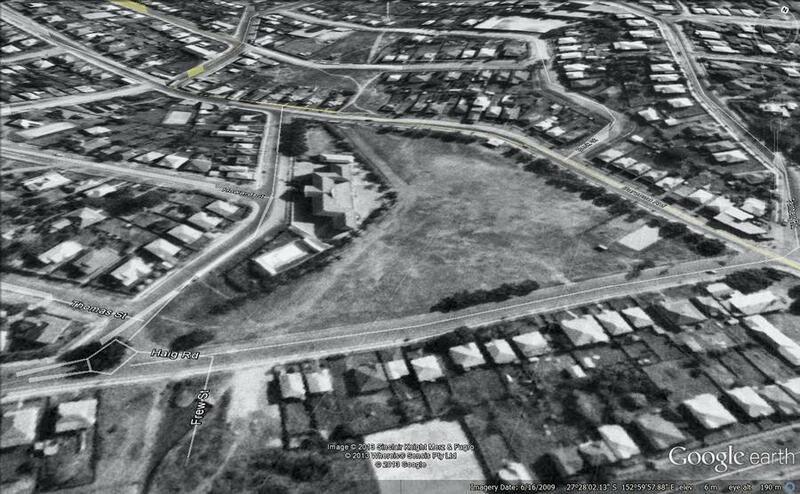 The ‘new estate’ came in the early 60s and the bush behind our place was developed in the late 70’s early 80’s. 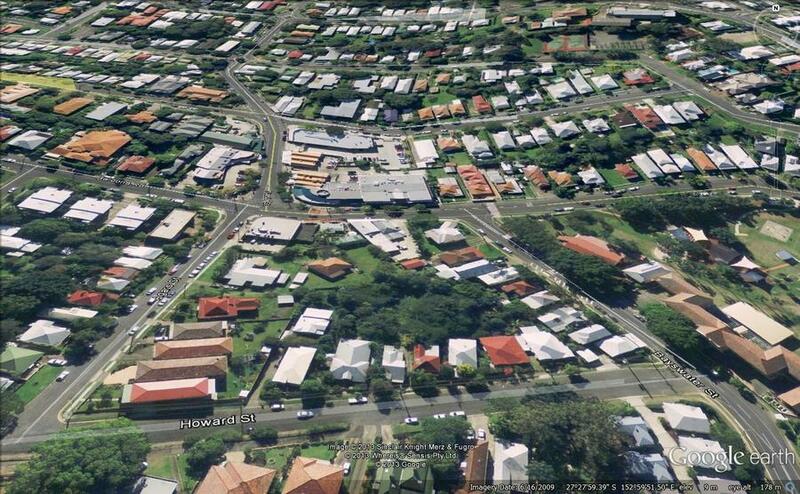 Lot of the old neighbourhood war service weatherboard homes replaced by mansions now. In the 2000’s I worked a building next to Western Creek on Milton and spent many a pleasant lunch hour watching the fish and birdlife there.